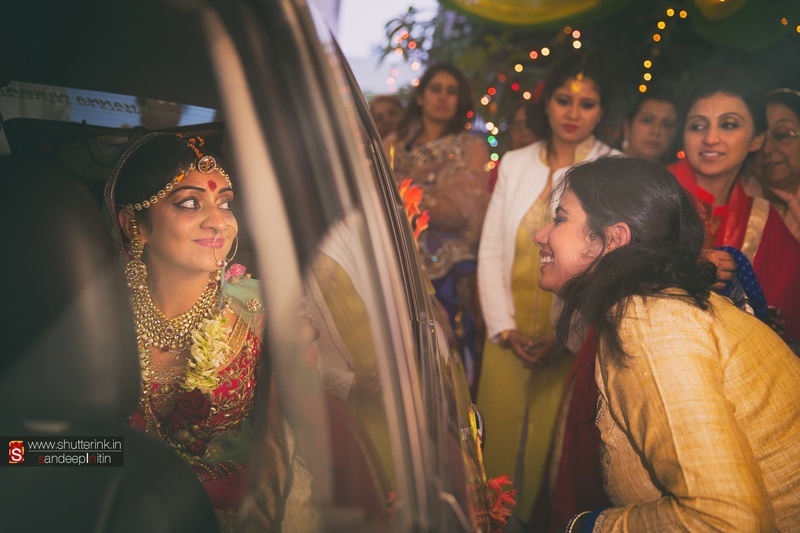 From acquaintances to friends, from friends to bestest friends, from bestest friends to lovers – Smriti and Abhay’s journey has been a wild adventurous ride and telling from their photos, their wedding celebration was one too! 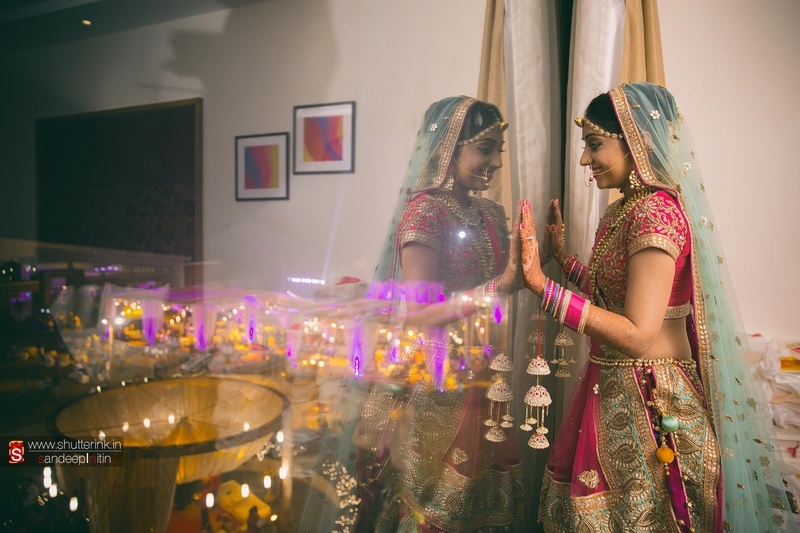 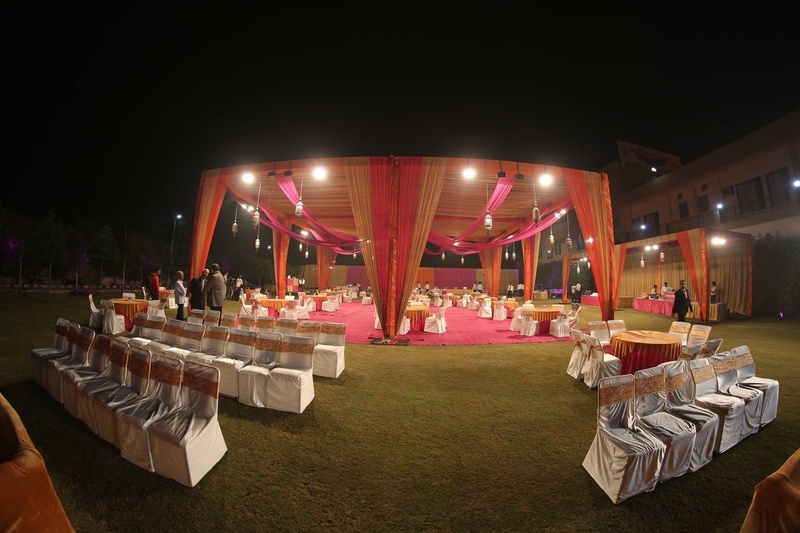 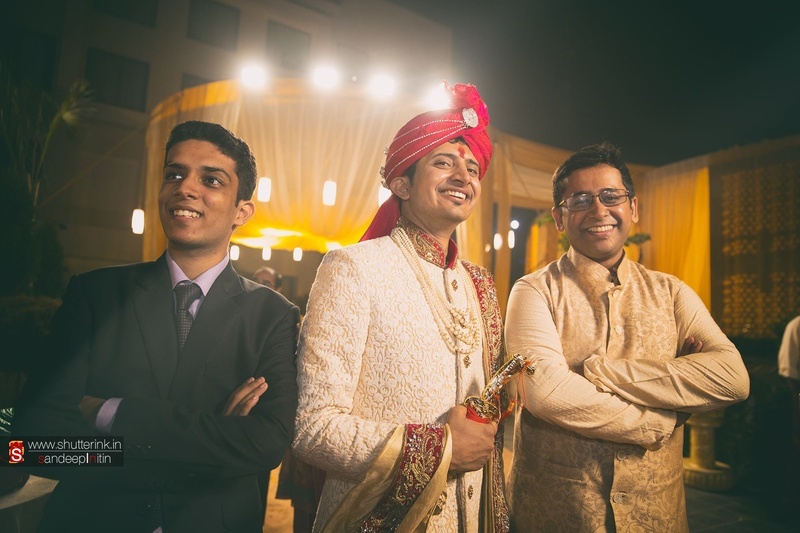 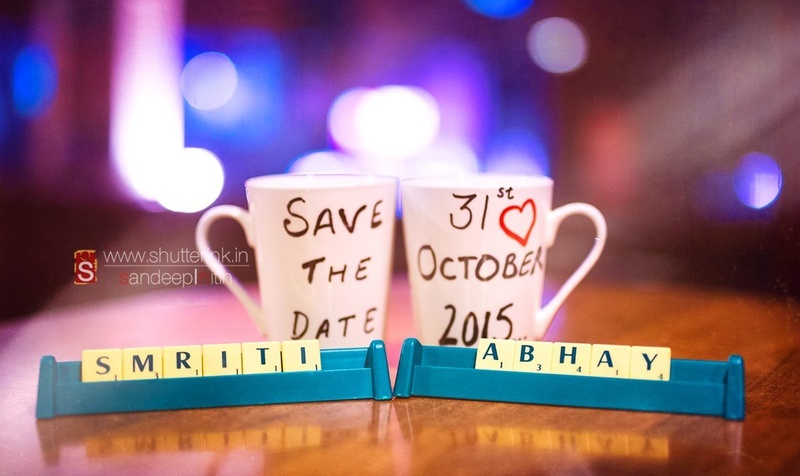 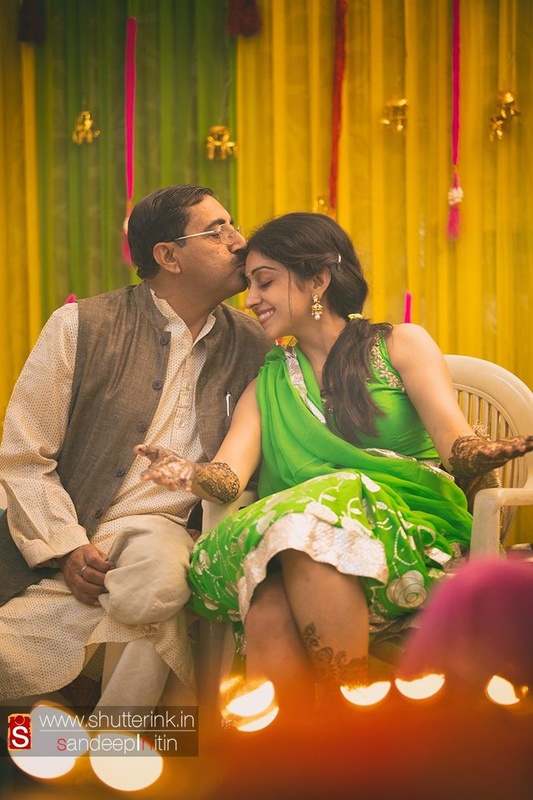 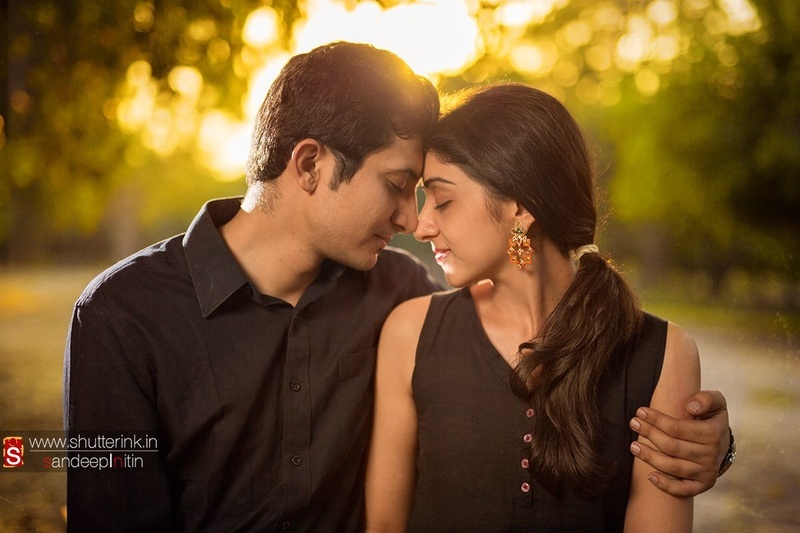 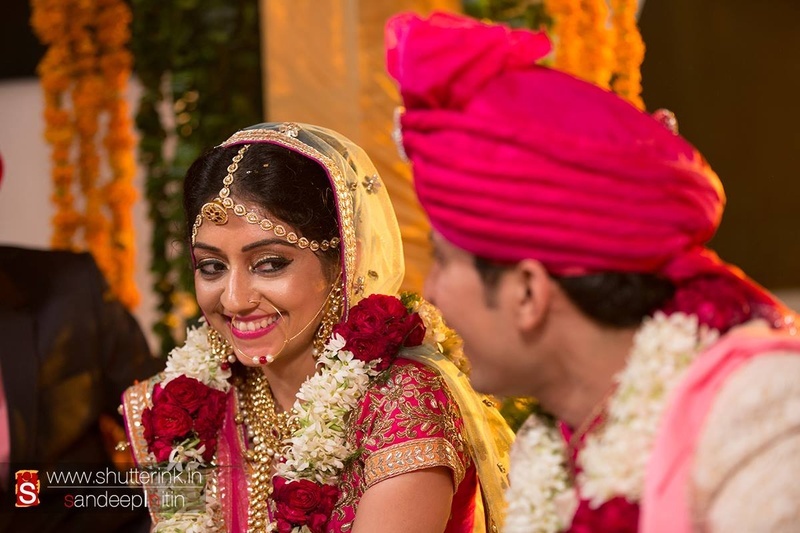 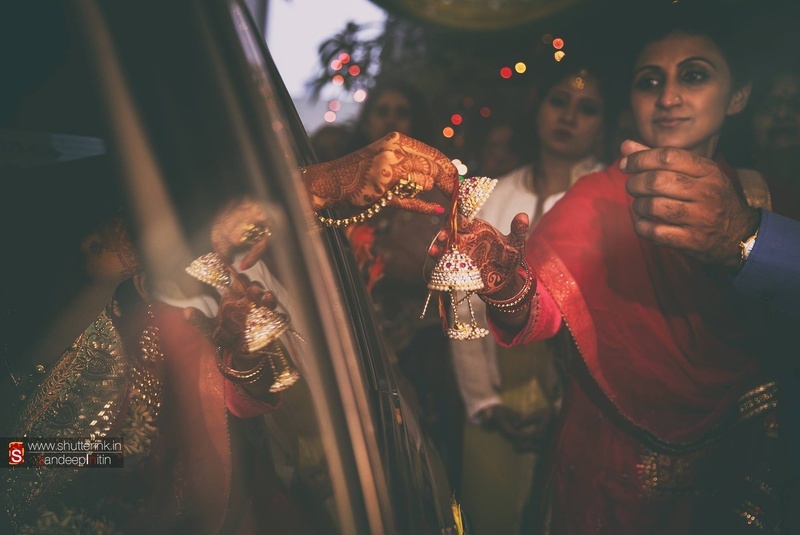 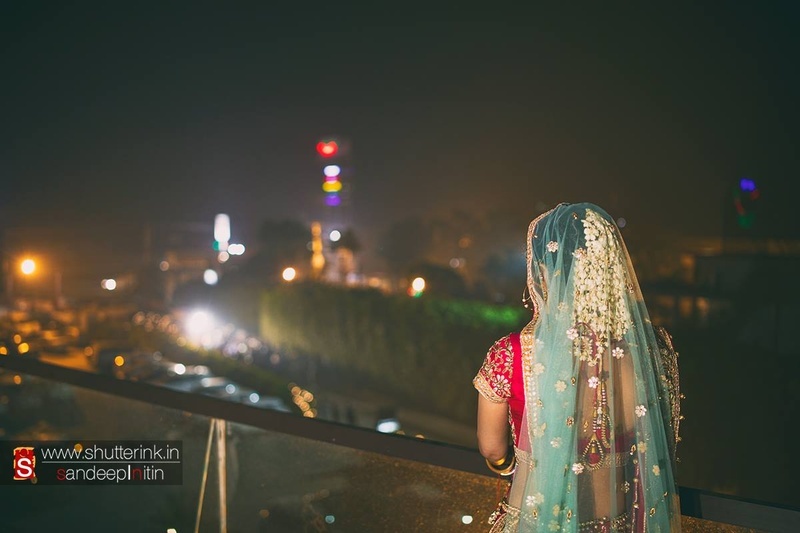 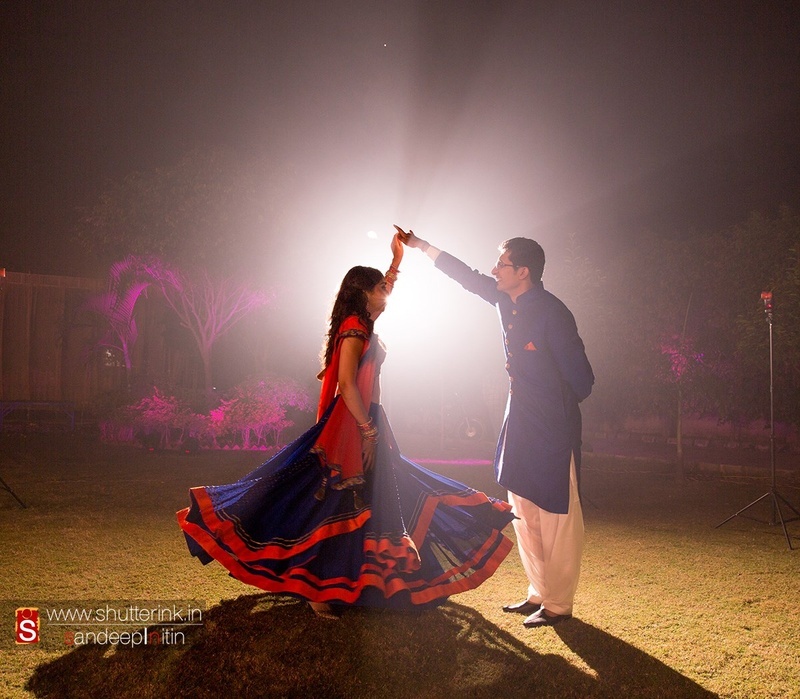 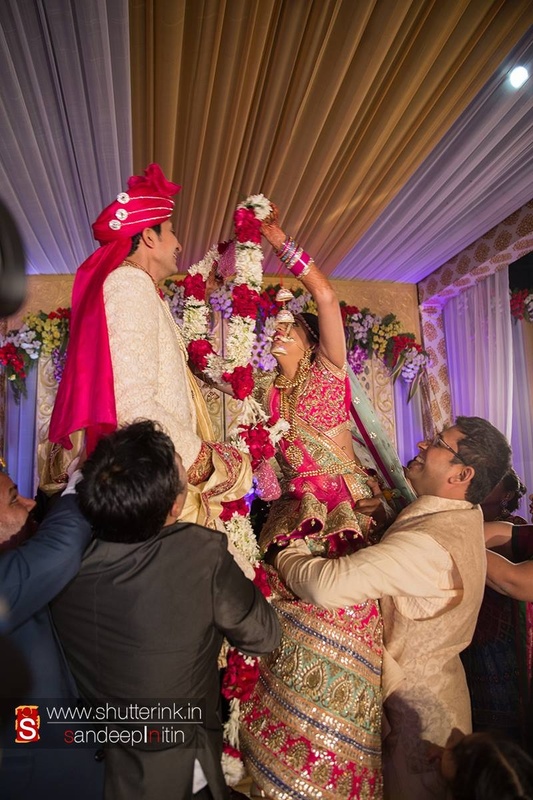 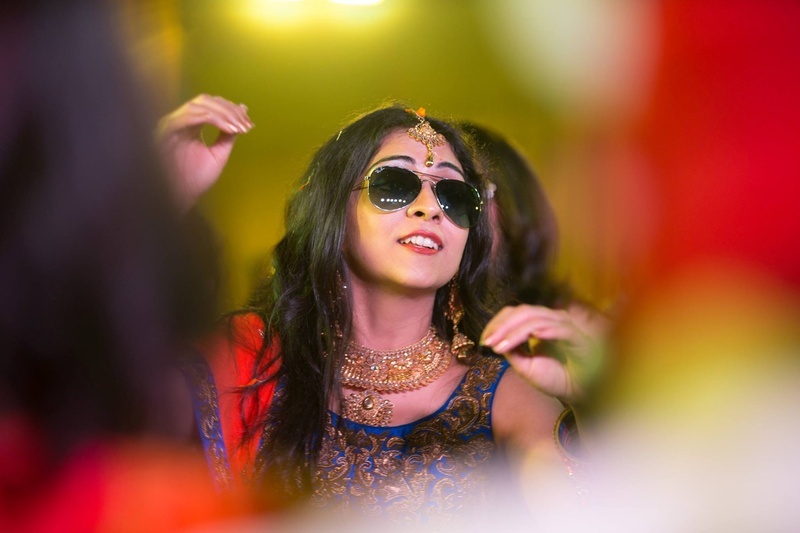 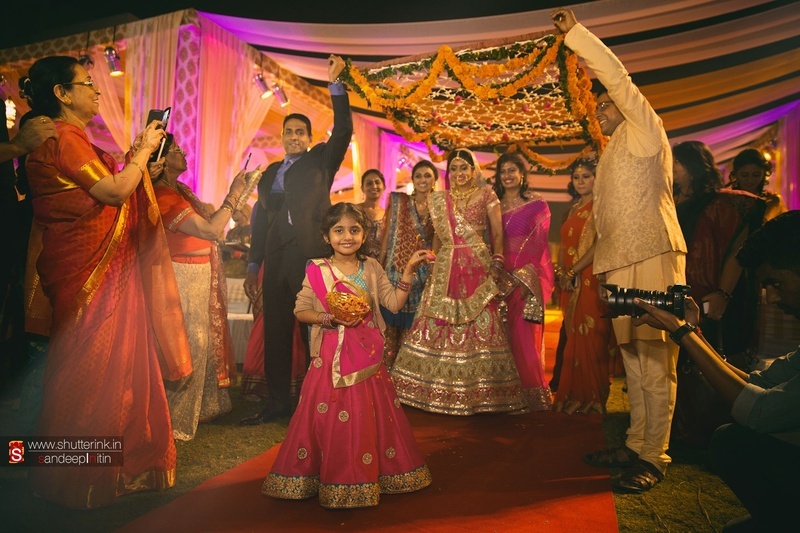 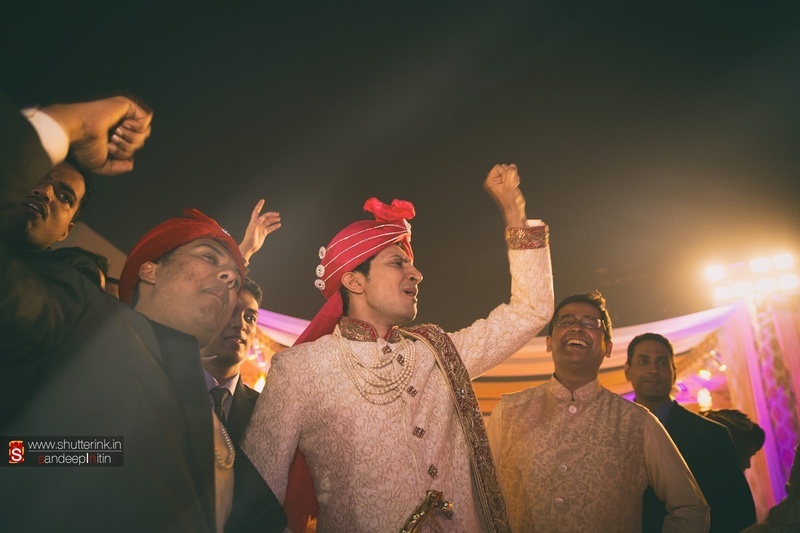 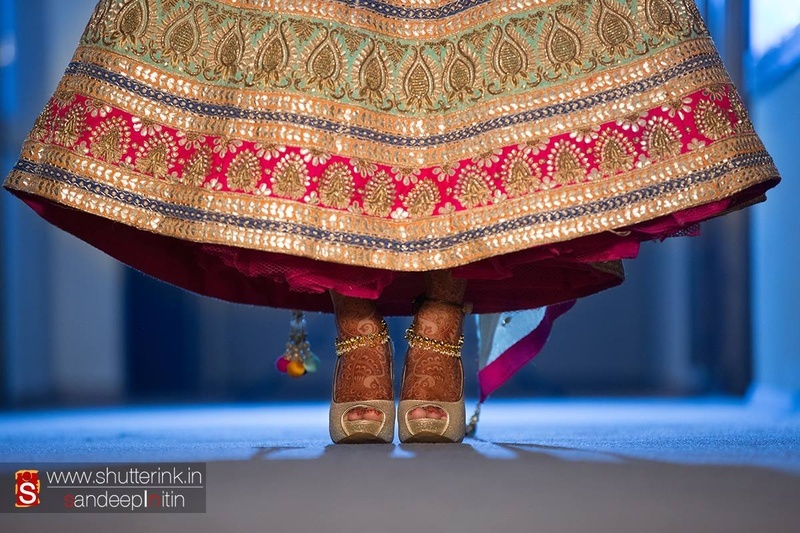 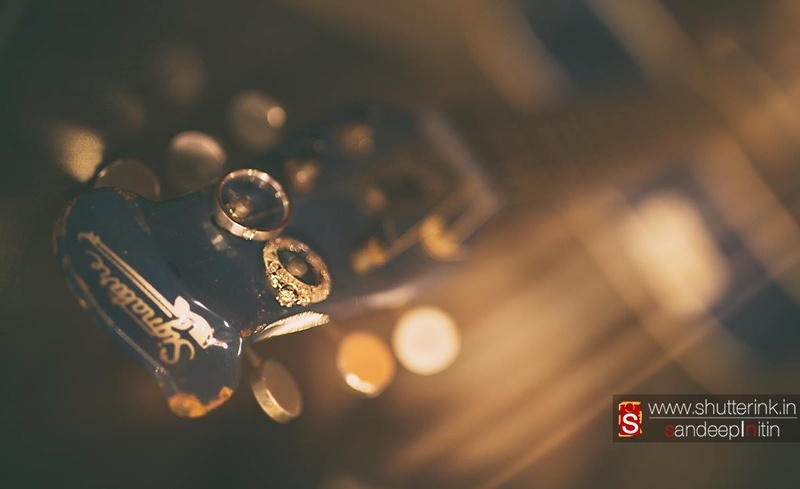 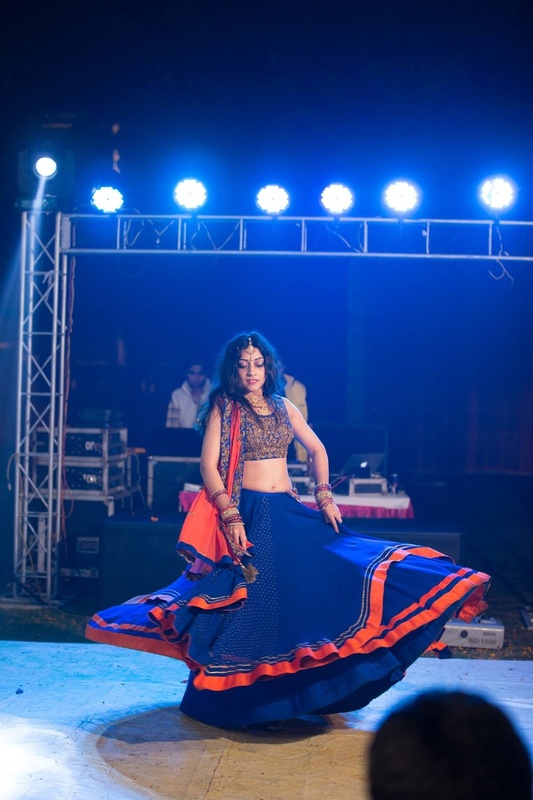 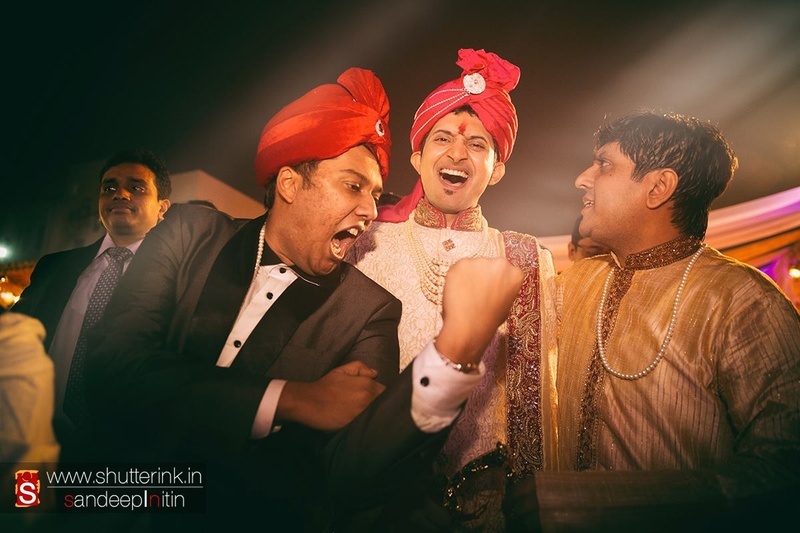 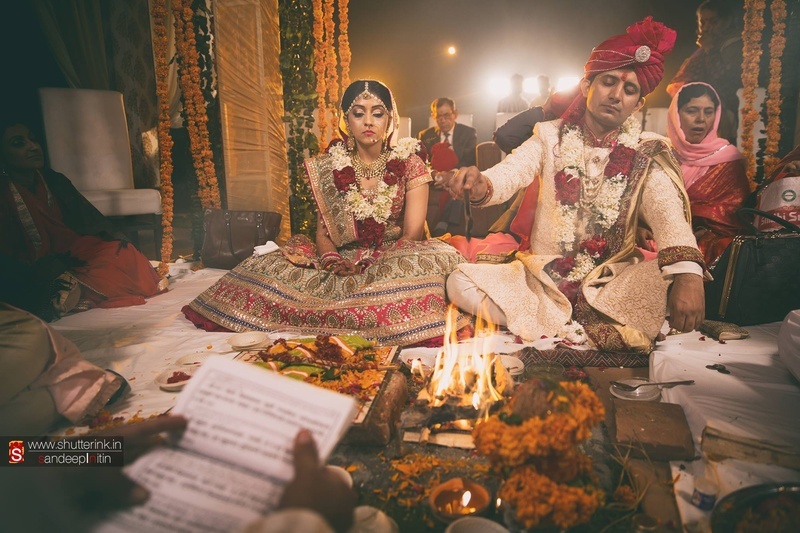 “Smriti has been connected with Shutterink since Oct 14, when she first hired us to cover her ring ceremony. 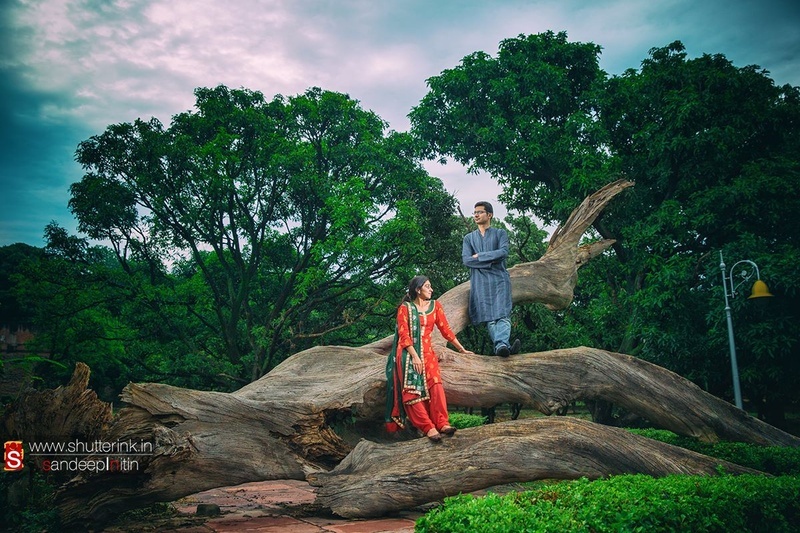 The photographs turned out to be beautiful and we loved the family too. 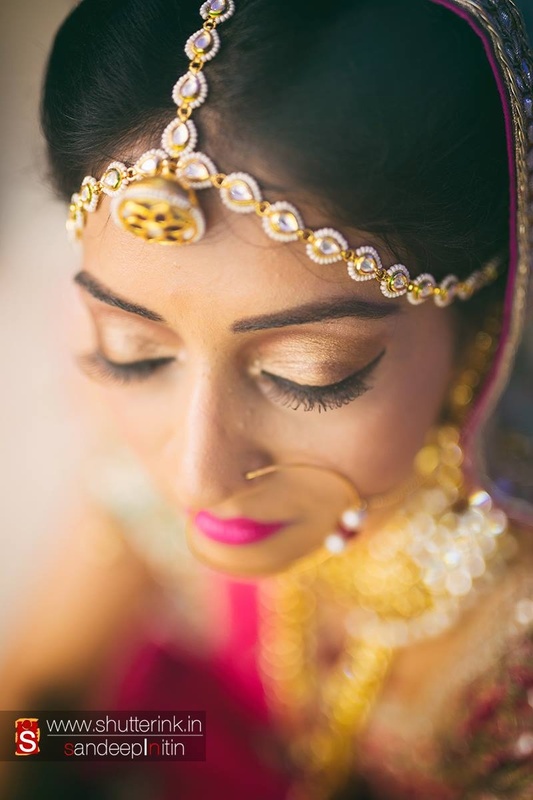 She then hired us again to cover her big day and we couldn't be happier! 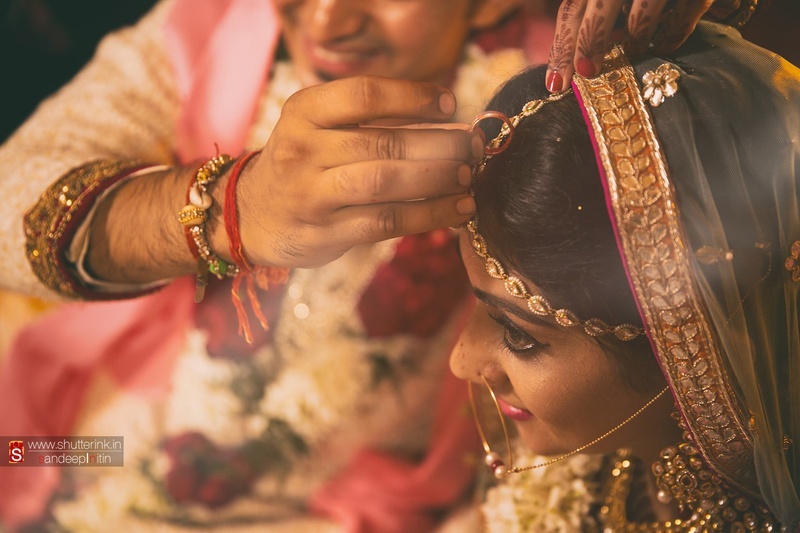 We absolutely loved the three days of celebrations, couple shoot sessions with both Smriti and Abhay.”- As told by the talented team at ShutterInk Photography. 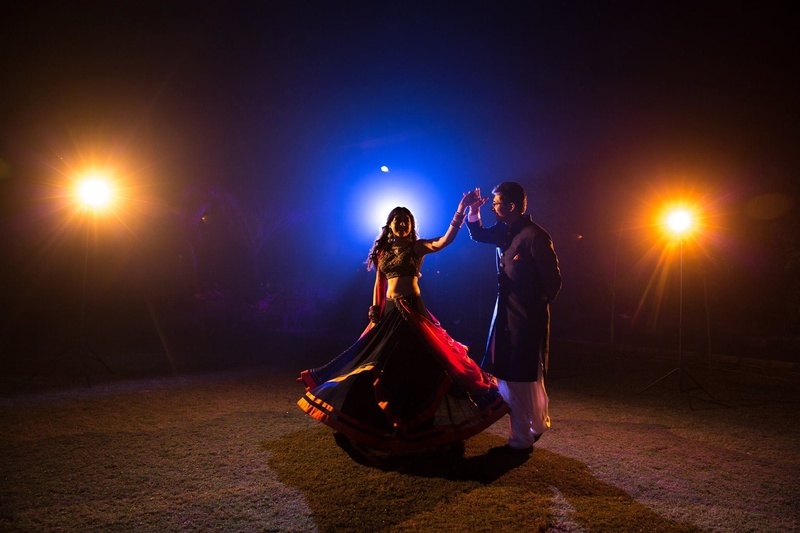 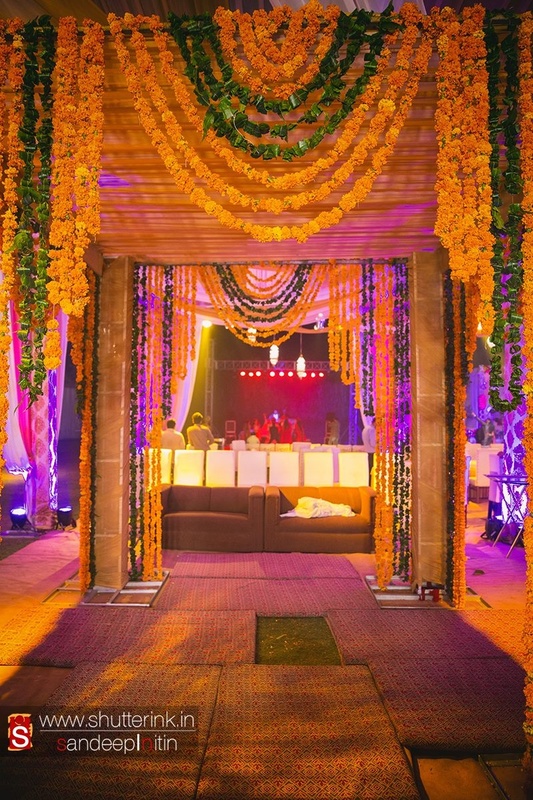 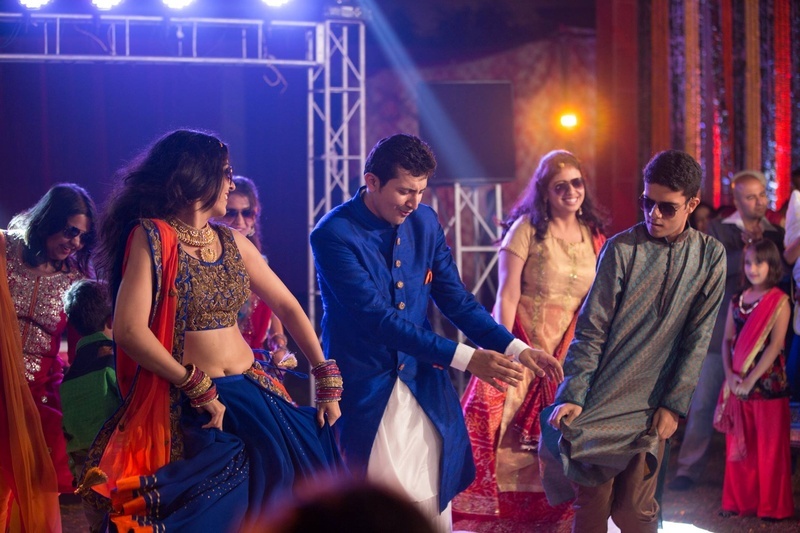 While the pre-wedding photoshoot consisted of picturesque spaces with abandoned railway tracks, large rustic swings and fallen tree trunks, the sangeet, haldi and wedding was all-out desi! 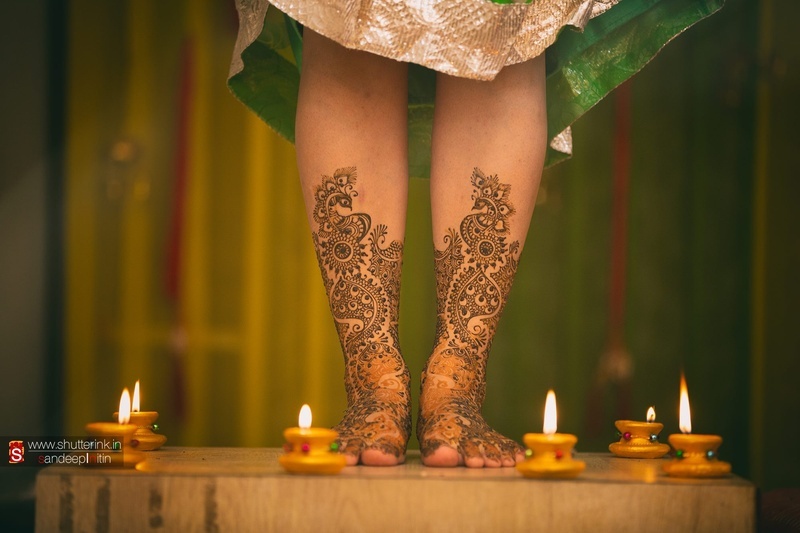 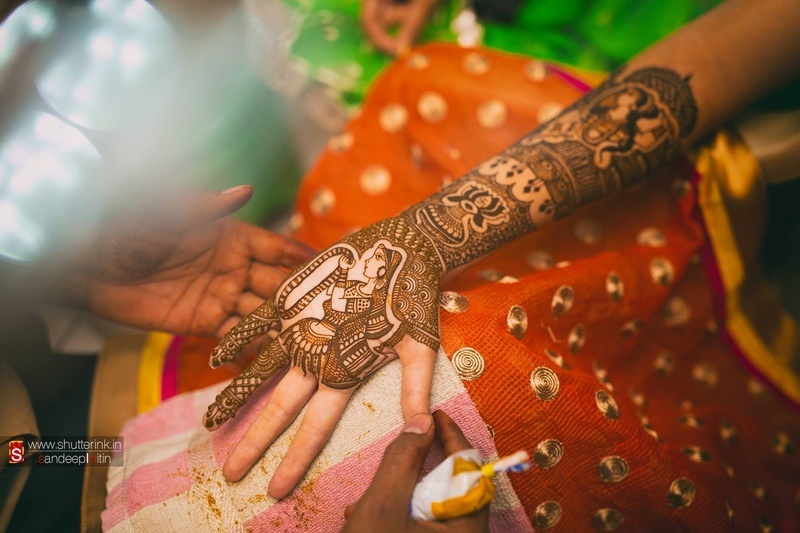 But what truly left us mesmerized was Smriti’s beautiful bridal mehendi. 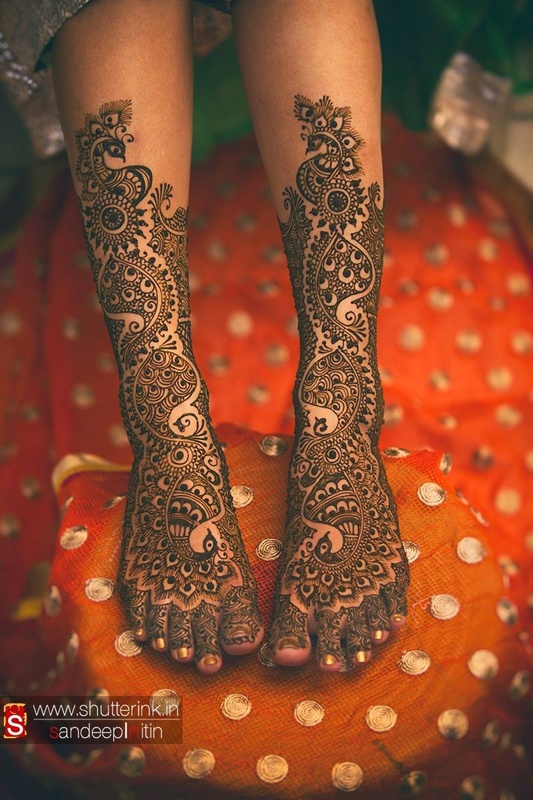 Each line, each swirl and each dot of henna was done with maximum precision and intricacy featuring a stunning peacock design. 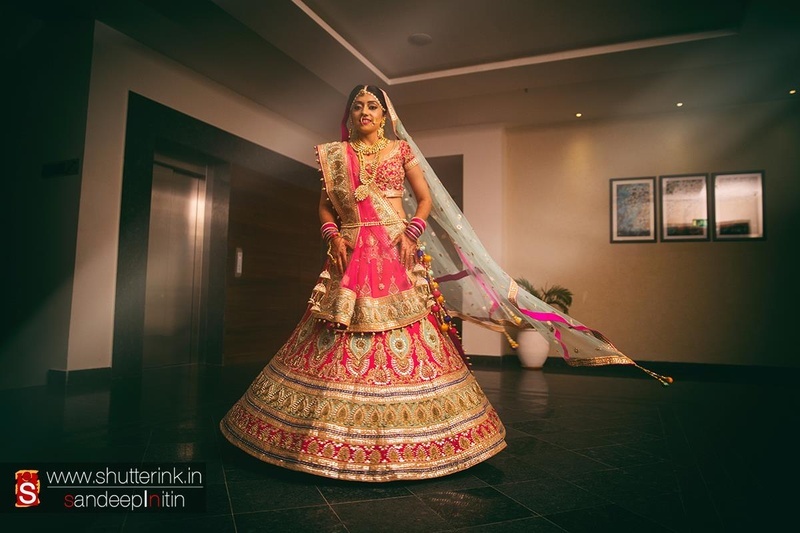 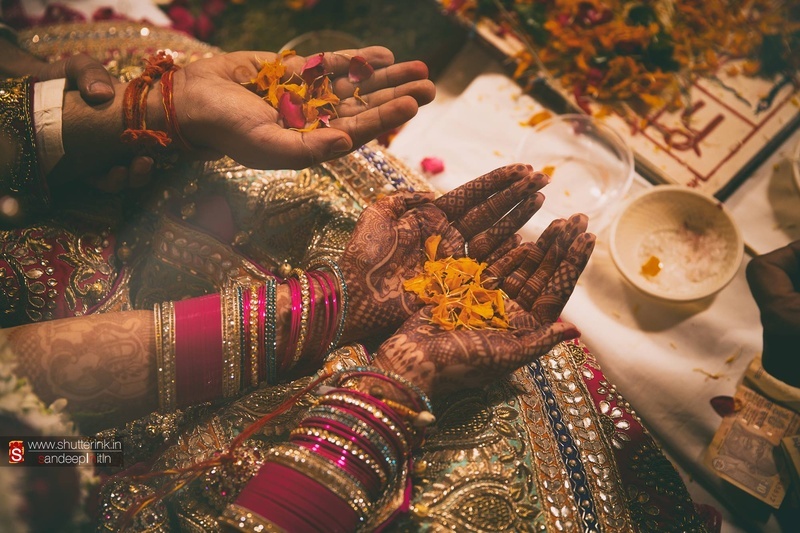 While her mehndi was absolutely on fleek, her all-gota work bridal lehenga was the epitome of ethnic beauty. 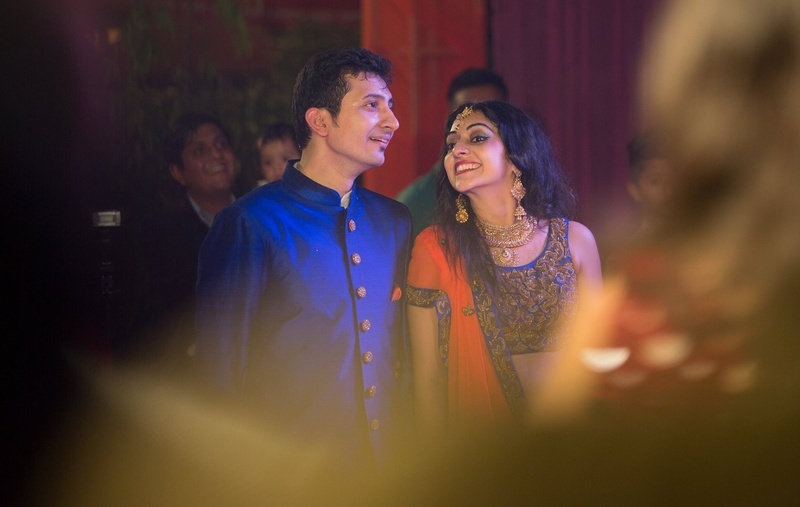 What to look out for as you scroll through this album – the marigold shower over the couple shot brilliantly, Smriti’s navy blue and orange flared lehenga, and the cutesy scrabble Save-The-Date! 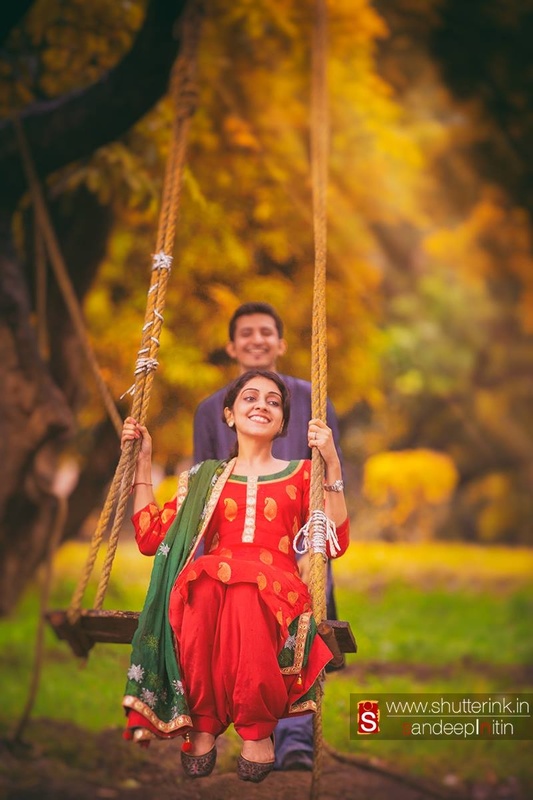 Swinging her, just like their old times! 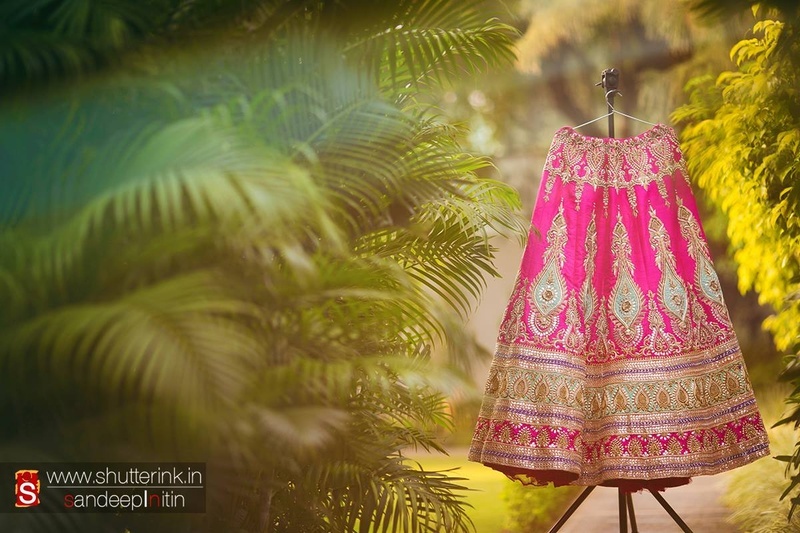 Doesn't wish to reveal her grand look yet, creating some curiosity is always good, isn't it? 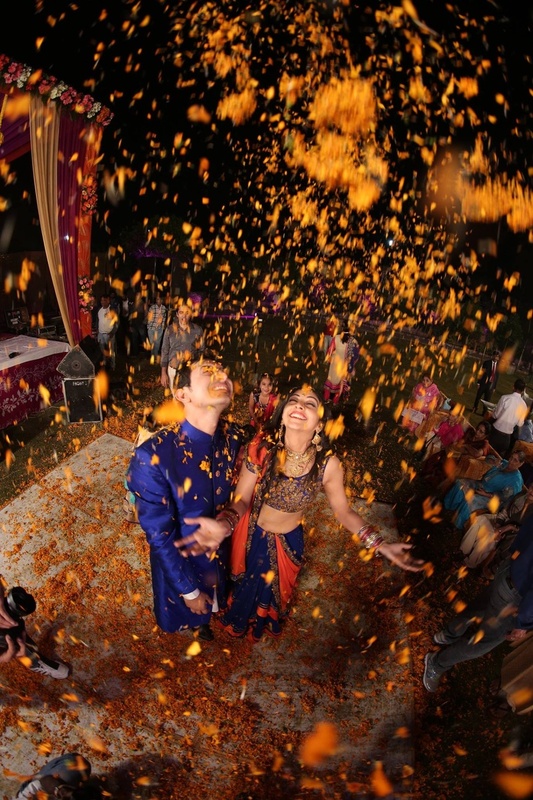 Offering a flower, guess he doesn't know she has already fallen for him!